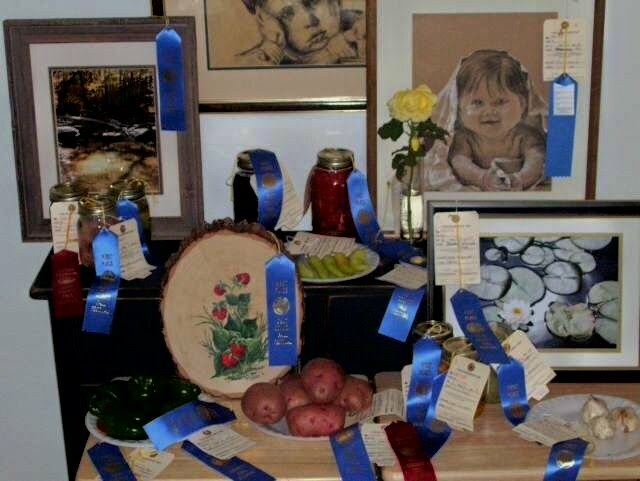 Years ago, a friend gave me a jar of homemade bread and butter pickles. Even better, she gave me the recipe. My friend's pickles were tasty, crisp and wonderful. The recipe was easy to follow and it could be made in small batches - no canning required. Hint: cucumbers used for pickling are a different variety than those sold for salads. Pickling cucumbers are generally smaller in size than slicing cucumbers and have a thicker, slightly bumpy skin which never has wax applied as a preservative. 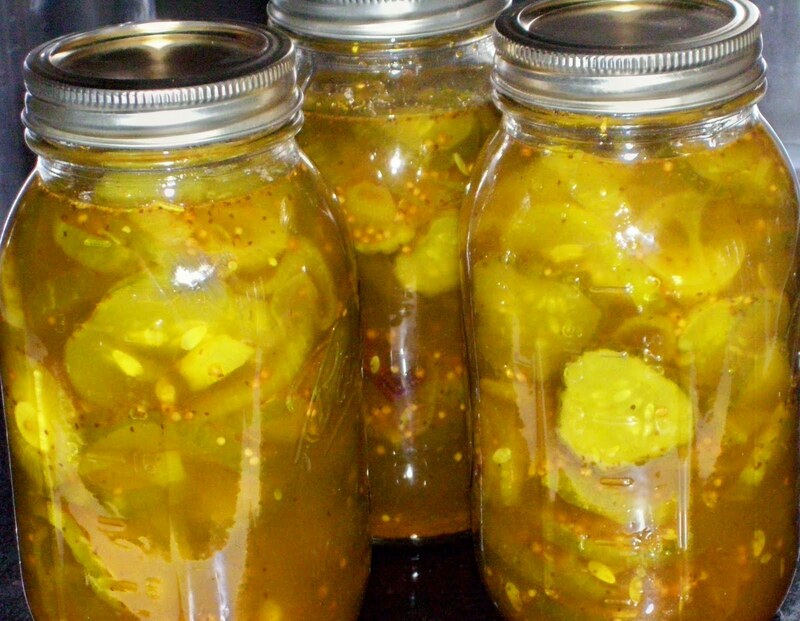 Pickling cucumbers may be purchased in-season, or -even more fun - make pickles from one's own cucumber plants! Years ago, I grew an heirloom lemon cucumber, (pictured below) - they were round and yellowish, hence the name. They were great in salads and sandwiches and also made terrific bread and butter pickles. 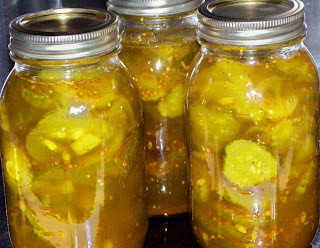 I shared the pickles and fresh cukes with friends and family; one neighbor told me I caused a big problem in his home - he and his wife fought over who got to eat those pickles - what a nice compliment! 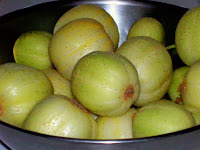 (The lemon cucumber seeds are available from Baker Creek Heirloom seeds in MO. No matter which type of pickling cucumber used, the recipe from Elaine B., is the best one I have ever tasted. Sprinkle cucumber slices with salt and let stand for one hour. Wash slices off well with cold water and drain. Combine vinegar, sugar and herbs in large kettle. Add 'cukes' and onions. Boil gently 3-5 minutes until slices are glossy and skin has lost its bright green color. Pack into hot, sterile jars. Refrigerate. They store well this way for months. Note: You may cut this recipe down or increase it. (These pickles may be processed in a hot water bath for 5 minutes, but they will not be crisp). If you look closely, you will see a jar of pickles with a blue ribbon attached...they are to the right of the potatoes...this photo also represents all of my entries in a 2008 Dent County, MO Fair...it was a blue-ribbon summer!